Mobile POS Software have become huge in the past few years and even will growing more in the future. The Hospitality sector is quickly catching up and thinking that Mobile POS software is a good investment to improve the workflow in the Restaurant, boost customer satisfaction and also to increase the revenue. The reason being the stewads are being available to the customers and providing a DLite and best of the best service. 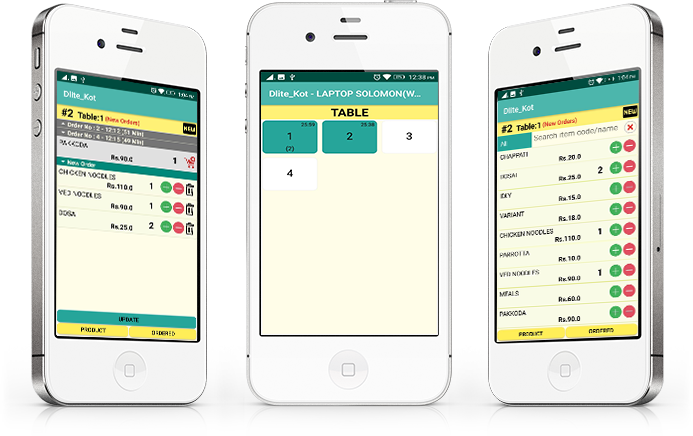 What So Special in DLite Mobile POS Software for Restaurants? Adding more orders for a single KOT in multiple tables.